Hello again, hope the New Year is treating you all well. This newsletter we have some good jokes, news of a new concept vehicle from Benz, cars for sale, Owners manuals and much more. Does owning a Mercedes drive you mad some times. Have a look here to confirm your suspisions. If the test proves positve don't worry you are in good company. Did you know that we sell Owners manuals? It is quiet surprising what is still available. We currently have in stock new owners manuals for most of the 60's models cars like 230SL, 250SL, all the W111 coupes and Cabriolets and many 70's and 80's models. Cost varies, but most are $30.00 - $35.00. We even have a rare copy of thr 300SL Gullwing Owners manual! No not another tax but a new design study from Mercedes-Benz. Talk of the new Vision concept car was confirmed at the recent Detroit Car Show where Daimler Chrysler released their new Grand Sports Tourer design study. Have a look at the MB-spy page for a copy of the press release and some pictures. And to prove that the Vision is more than a clay model there are also some spy pictures of it being tested in Germany. Powered by the almighty AMG 5.5lt V8 and with striking looks including 22" wheels this is very definately a departure from the norm for Mercedes-Benz. 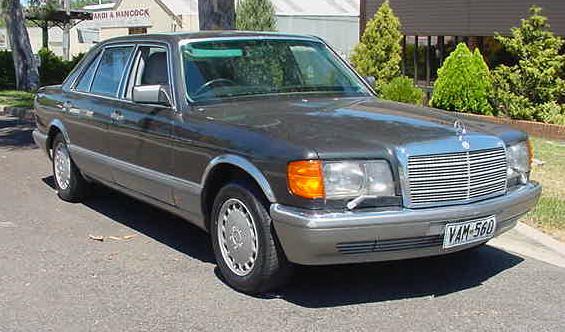 Another Mercedes-Benz Club this time. 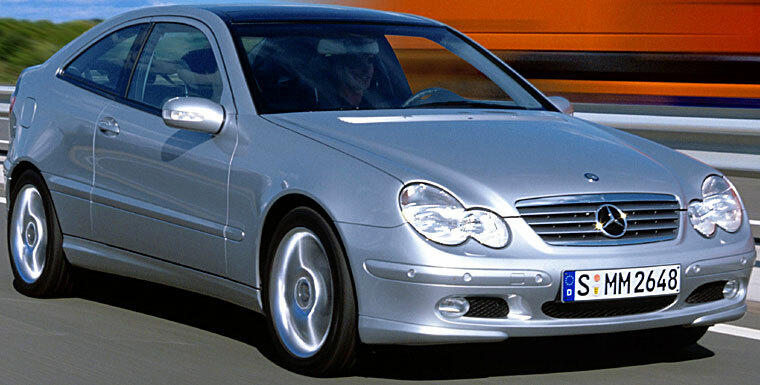 This week we recieved an e-mail from the newly formed Mercedes-Benz Club of the Netherlands. The club was formed in March last year and has 140 members already. 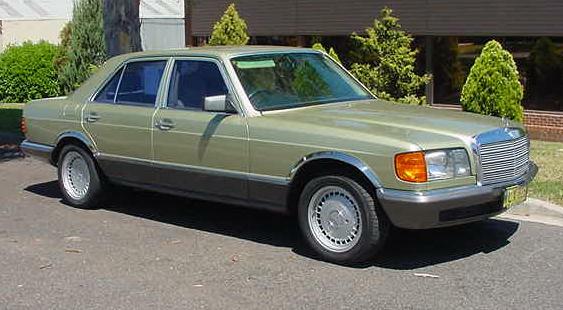 The 190E 2.0 has been sold. It was a great little car and has gone to the daughter of one of our customers. We may have a 90 model 300CE coming next week. Have a look here at our Cars for Sale page. This newsletter we will be starting what should become a regular feature of the newsletter. I am sure that all of my customers know that we buy and sell cars. But most of you are not aware that we do have access to a lot more cars than what appear on our webpages. We have contacts in the Car industry Australia wide. Here is a list of just some of the cars we can source for you. We also have customers coming to us looking to sell their classics. Have a look at this 1959 300d from a customer in Queensland. 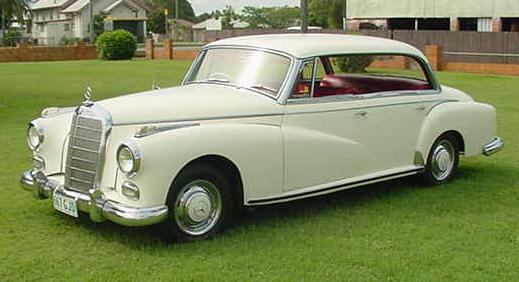 It is a 59 model 300d pillarless saloon. Recently restored, rebuilt motor, new brakes, good tyres, some spares and manuals, rego 5.4.2002. VGC. The chap who owns it is still a bit undecided about price. If you are interested give me an e-mail. When and where was the first Australian Grand Prix? It was not Phillip Island but Goulburn. have a read of this press release from the committe orgainising the 75th aniverasary celibrations. If you're a Motor Racing buff or simply appreciate a fine vehicle, then this is an event not to be missed. Up until recently it was believed that Phillip Island was the host of the First Australian Motor Car Grand Prix, held in March 1928. This has now been contested with new information coming to the foreground. It now seems that maybe Goulburn beat Phillip Island to the line by 14 months. At the Goulburn Racecourse (Recreation show ground) on January 15th 1927, Country Speedways ltd held a race meet which was under the auspices of the Australian Racing Drivers association. One of the races on the programme was the "AUSTRALIAN GRAND PRIX" for all power racing cars. Well on January 15th 2002, its time to celebrate its 75th anniversary. And to kick start the celebration, there will be a parade from Belmore park to the old Race course. Watch these magnificent old vehicles dating back to the early 1920's roll on down the rd with some of Goulburns historic buildings as their backdrop. There will be a number of Car Clubs involved as well as the local Motor Cycle Club. When the flag falls, the Racing Cars dating back to this specific era will do some display laps of the old Race Course. You will feel as though you have slipped back in time. For a souvenir you might like to have your photo taken sitting in an old Vintage car. Don't forget your cap and scarf. Through out the afternoon there will be activities for the kids, and of course the good old Australian BBQ will be smoking away. After an evening buffet and an early rise the next morning, out to Wakefield Park for a meet . See these vehicles do some practice runs , the speeds they reach will surely surprise you.